Fine Wine really more expensive wine? Have you ever wondered how wine like Château Lafite Rothschild Bordeaux manages to be so expensive? We all know that the older the wine and more popular the label the more expensive the bottle, but why is it like this? 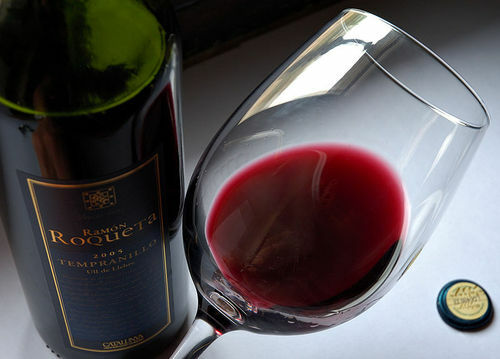 An experimental study which was conducted with a group of wine critics, who are known to be experts in the wine industry, with two wines which had no labels or price tags raises the question as to how different one wine is to another in reality. A further experiment did prove that a more expensive wine does conjure up more emotions of pleasure while drinking the wine, so is it safe to say that when you think you drinking an expensive wine you going to enjoy it more? 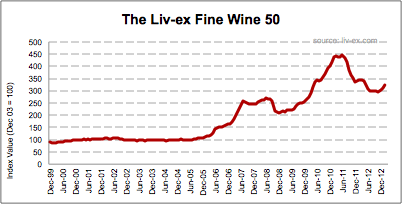 Wine matures with age, the older the vintage the more you can expect to pay for it and over time the price of the wine increases, the below graph illustrates how wine prices have increased over a period of time. The wine industry has seen a lot of changes over the years, and the means of bringing the most flavor-full wine to the dinner table has changed with it, but do you really want to be spending $60 or more on a bottle of wine when you can get the same taste and pleasure from a bottle of $10 wine? At the end of the day each person has their own likes and dislikes when it comes to wine, whether you want to spend that $60 on a bottle of wine and impress your dinner guests, or simply buy a $10 bottle, decanter it into another container and tell your guests that it is the $60 vintage, it seems that no one is going to be any the wiser! This article explains in depth about the differences in wines and their price tags.